My First blog post since MARCH! Kind of crazy. But I am really excited about today's post because I am finally sharing the new stroller that I have been loving, plus a fun day trip that we take with the kids all of the time. 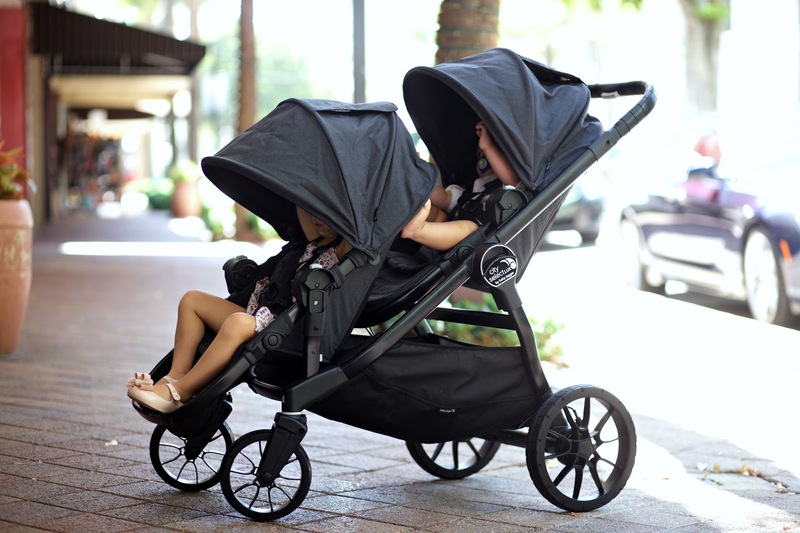 This stroller is the new Baby Jogger City Select Lux and I am obsessed with it. They sent it over a couple of months ago and it really has been the only stroller that I have been using. There are just so many things that I love about it and it has been perfect for all of the outings that we go on as a family of four. I highly, highly recommend this stroller if you are looking for a good double stroller. I love how easily this stroller can go from a single to a double (it really is so easy). And this is perfect for me because Andi always wants to walk now so I can easily take the second seat off and put it in my car. I love having the kids sit one in front of the other; it makes it so much easier to fit in smaller spaces and I just feel more comfortable (like I am not going to completely knock something over). I love The HUGE basket it has for storage. I love all of the different ways that you can put the seats. I think there are 20 different configurations. I can have the kids face each other which is really nice. And I love that it doesn't take up my entire trunk when I fold it up as a single or as a double. 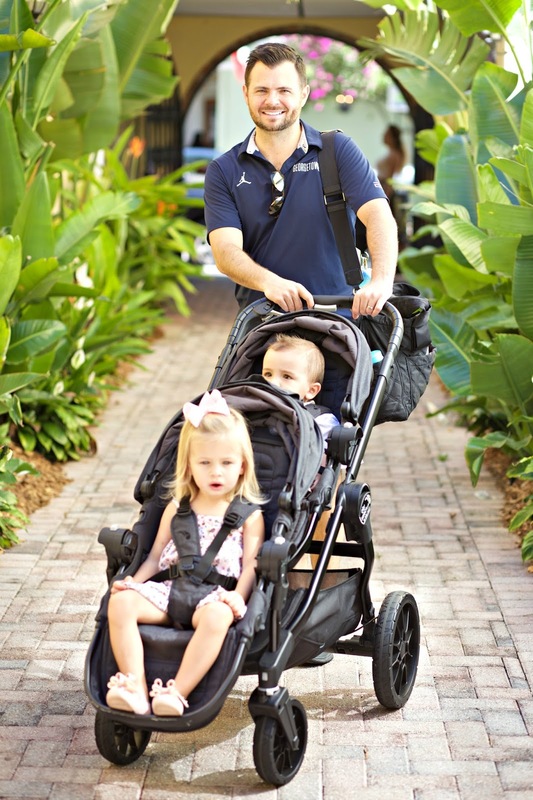 One of our favorite places to spend the day is Las Olas Boulevard here in South Florida and this new Baby Jogger City Select lux stroller has been the perfect stroller for it! We love spending the afternoon walking around, shopping, having lunch and getting the kids ice cream. It is always such a fun family day. This stroller is so much easier to take into a restaurant and into stores because it is not wide at all. I would love to hear some of your favorite places to take day trips with your kids. Share them and tag @babyjogger and #howistroll. You also can head over to Baby Joggers website for the full best places to stroll guide. Thanks to Baby Jogger for sponsoring todays post. You have the cutest kiddos!! They are adorable! I'm so looking forward to fall and all your adorable outfits! Not only yours but your kids. You guys are the cutest! I am so inspired by your style! 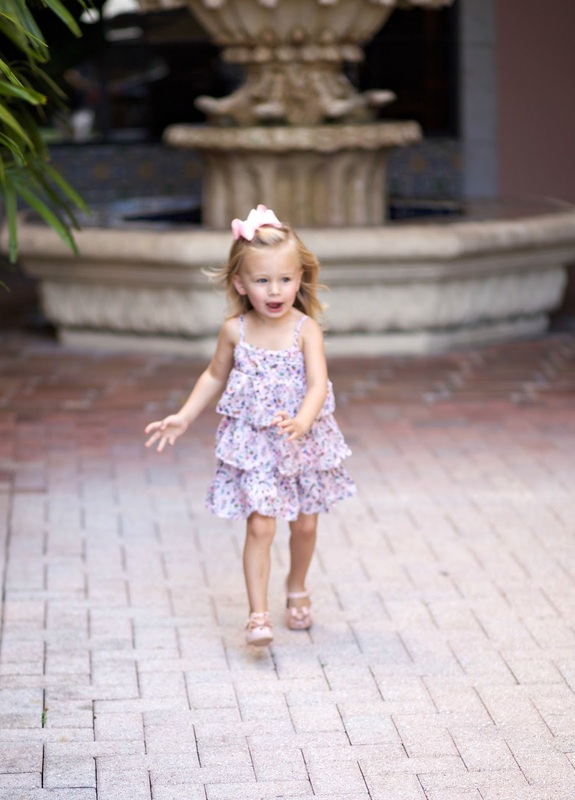 This dress is just gorgeous and your family is too! I can't wait to see more of your amazing outfits! Love the suede Moto jacket! eek love your picks from the sale! !